Holiday.gr - Pelekas, a trip to a myth! Pelekas is a traditional village built in one of the most beautiful hills of the island. It has a glorious view, as it is located in a 220m height. It is in the northwest part of the island, 13km from the city. The village is famous for its magic sunset. 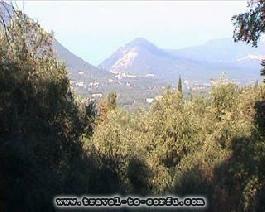 Many people consider it as the most beautiful in Corfu. At dawn on the top of the hill-where there is a café- people gather to see the Ionian Sea at its best time. This magnificent spectacle used to enjoy the german emperor Kaiser Goulielmos the 2nd. In fact there is a location called “the throne of Kaiser”. Close to Pelekas’ village is one of the most beautiful beaches of the island, Glyfada that distinguishes for its natural beauties and organization. Pelekas satisfies its visitors in all areas. Been to Pelekas ? Share your experiences!